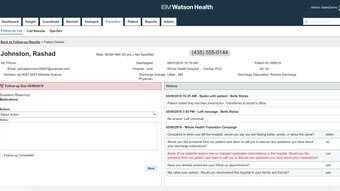 When patients leave the hospital or emergency department, the effectiveness of follow-up becomes crucial to their recovery, and to your bottom line. 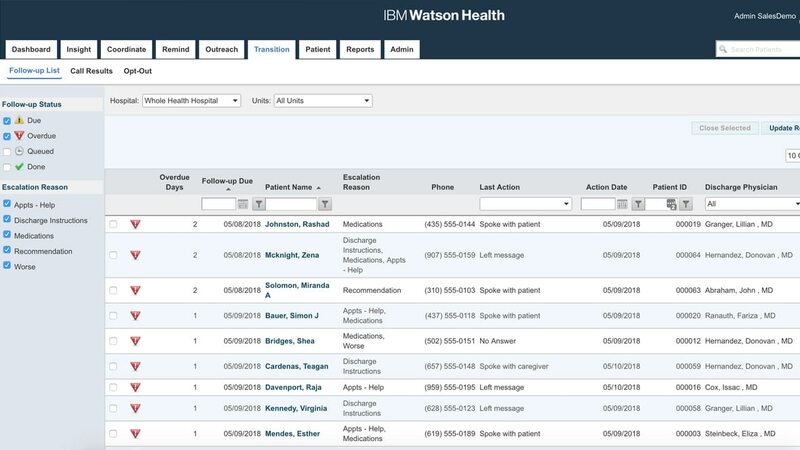 IBM® Phytel® Transition’s delivers automated proactive post-discharge assessments, alerts, notifications and reports—enabling close monitoring for high-risk patients, and prompt attention to all patients who require additional assistance. Improve HCAHPS scores, qualify for performance incentives, and enhance patient retention and acquisition. Avoid readmission penalties and reduce overall cost of care. 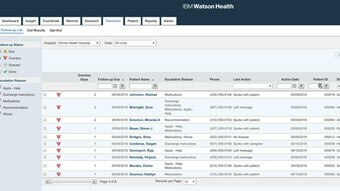 Streamline care coordination and reduce administrative costs. 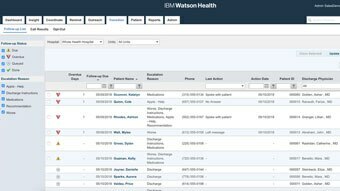 Decrease adverse events and expedite follow-up by care managers and primary care providers.